I am Md. Sarwar Jahan Sujan. I have completed B.Sc. in Civil Engineering From BUET. 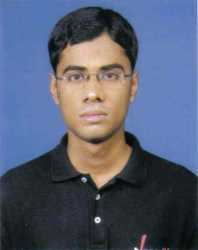 I am Ex -BUETIAN, Ex-Teacher of Oxford International School, Dhanmonndi-27, Dhaka. I prefer to teachall Subjects, Class 5 to 12,PSC, JSC,SSC, HSC, O Level, A Level, University Medical Buet admission,Private University 1st year to 4th year student of Civil Engg Department,MBA admission. I need a private tuition.My e-mail:msjs0104073@yahoo.com. My name is Nazia Nawar Chowdhury and I have finished my Bachelor degree in Microbiology. I am looking for some students who will be eager to join for biology/Science tuition. As I have a Biology background so I will be able to help and communicate with the students easily. Wanted to teach O/A level and GCE Cambridge curriculum. Need a tuition of class 1 to 10. I have completed B. Sc. in Electrical & Electronic Engineering from KUET recently. I got A+ in S.S.C. and golden A+ in H.S.C. I’m studying Bachelor of Business Administration (B.B.A) at North South University-(NSU)CGPA:3.50.I have complited my HSC from Govt. Science College,Dhaka(2012)GPA:4.80 and SSC from Kabirhat Model High School,Noakhali(2010)GPA:4.75.I have also gotten scholarship both five & Eight Now I’m interested to attach with teaching profession. HELLO! I'M ABDULLAH-ALMUTI (ASAD). I WANT TO TEACH ENGLISH,BANGA ARABIC,ECONOMICS @ OTHER SUBJECTS FOR STUDENTS OF CLASS 6-12. Dear students, I am Mr. Zafor . wanted to teach students from STD. V TO A level . I am working more than 12 years in O/A level section. Every year my students bring best results in 0/A level Ed excel/Cambridge Exam . Last Year one of my students got country highest marks in ICT. So dear students who are willing to learn plz contact with me soon . Seat is limited.